Mainamagames company is once again ready to please their fans with an appetizing novelty. 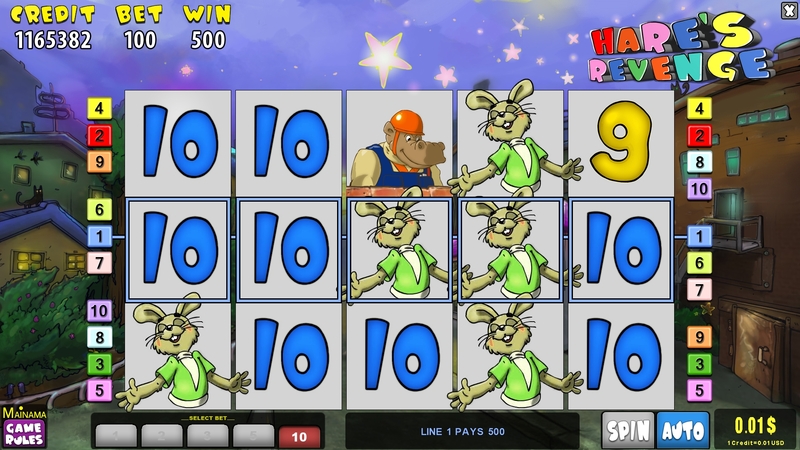 Excellent opportunity to catch your luck, because adventures of Wolf and Hare continues! Try the updated version of the original game from the company Mainamagames. Classics lovers will certainly appreciate this excellent. 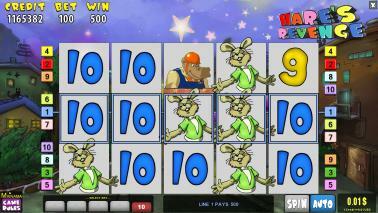 Hare's revenge - is a video slot with 5 reels, 10 paylines amended. As always, the player may expect excellent graphics, great music and funny characters, who are ready to please you again and again. 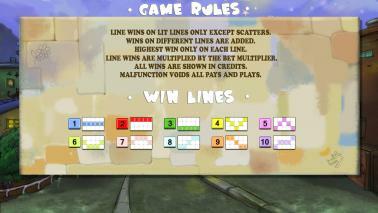 Game rules are very simple: if one of the 10 winning lines fall 3 (or more) identical symbols, the player wins a prize. Winning combinations are counted from the leftmost reel. Hare symbol is the wild and replaces all other symbols. 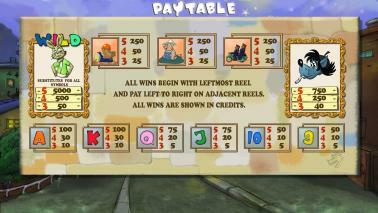 This winning combination is becoming more and more, which increases number of prizes! 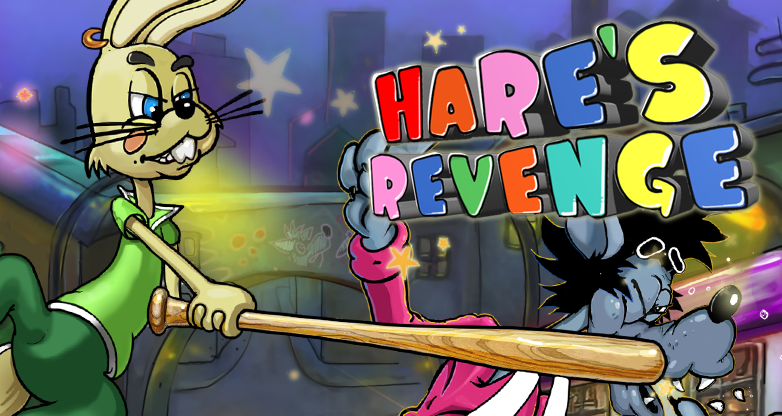 Do not miss your chance and try to play Hare's revenge. 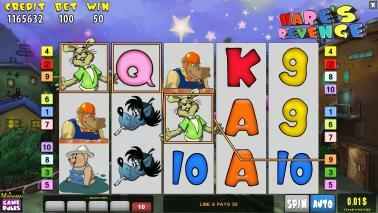 Mainamagames company is once again ready to please their fans with an appetizing novelty. 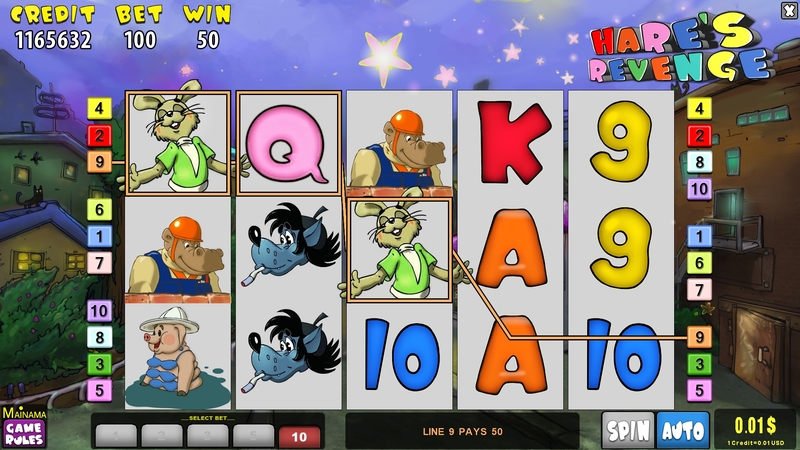 Excellent opportunity to catch your luck, because adventures of Wolf and Hare continues! Try the updated version of the original game from the company Mainamagames.